I've updated my WordPress blogging software, and installed the nifty new PamelaWare Information Card plugin. Pamela, congratulations to you and your colleagues for a great job on this plugin! The install was amazingly clean. It's ready for prime time. Meanwhile, if anyone notices any features of the blog that aren't working properly, please let me know. So far, it seems too smooth to be true. So congratulations to our friends at WordPress too! Paul Madsen has submitted the following card set for standardization with the ITU. Ashish Jain has already asked if the various options will light up according to the policy requirements of the person to whom they are sent. Paul has assured all those concerned that the preference URLs will be standardized through the UN. After the recent attack on my WordPress software, I moved identityblog to a new more powerful and securable server (I'm sticking with TextDrive – they're good guys and it is helpful for me to get a feel for what it's like to be “hosted”). I tried again to comment using my card. It says it is sending me a mail. I waited 24 hours and nothing arrived. Are you sure your code is working and your sender address is not blocked by hotmail? Of course I was sure – NOT. I tested it out and my messages were definitely disappearing into a worm hole at hotmail, though getting through to a number of other mailboxes. Instead of z07191AA.textdrive.com, the header should have read identityblog.com. Somehow I had not succeeded in configuring the hosted mailserver on my TextDrive accelerator to use the right hostname. Hotmail was smart enough to figure this out and give me the finger. I guess that's why I get relatively little spam at hotmail. Now I think I've fixed it, but it will probably take a while for the hostname to propagate. So, my apologies to people who were trying to comment or try out Information Cards and couldn't register. On a side note, when I was reinstalling my blogging software to get all the latest fixes, I was reminded what a fantastic job Pamela Dingle has done in making it easy to configure the PamelaWare plugin that adds both Information Card and now OpenID support to WordPress. It provides the best diagnostics Ive ever seen when using certificates and something goes wrong. I wonder if it would be possible for her plugin to send out an email message and analyse the headers to make sure they are set up in such a way that the registration messages will get through spam filters? That would be very cool. I guess a lot of us will be seeing her this week at the Internet Identity Workshop being held in Mountainview. I'll see what she says. With the latest CardSpace bits anyone who is handy with HTML and PHP, Ruby, C#, Python or almost any other language can set up CardSpace on their site in minutes – without the pain and expense of installing a certificate. They can do this without using any of the special libraries necessary to support high security Information Card exchanges. This approach is only advisable for personal sites like blogs – but of course, there are millions of blogs being born every second, or… something like that. Students and others who want to see the basic ideas of the Metasystem can therefore get into the game more easily, and upgrade to certificates once they've mastered the basics. I've put together a demo of everything it takes to be successful (assuming you have the right software installed, as described later in this piece). Given the time pressures of shipping Vista, those of us working on CardSpace had to prioritize (i.e. cut) our features in order to get everything tested and out the door on schedule. One assumption we decided to make for V1.0 was that every site would have an X.509 certificate. We wanted our design to start from the high end of the security spectrum so the fundamental security architecture would be right. Our thinking was that if we could get these cases working, enabling the “long tail” of sites that don't have certificates would be possible too. Let's face it. Getting a certificate, setting up a dedicated external IP address, and configuring your web server to use https is non-trivial for the average person. Nor does it make much sense to require certificates for personal web sites with no actual monetary or hacker value. I would even say that without proper security analysis, vetting of software and rigorous operating procedures, SSL isn't even likey to offer much protection against common attacks. We need to evolve our whole digital framework towards better security practices, not just mandate certificates and think we're done. So again, when all is said and done, it is best to promote an inclusive Identity Metasystem embracing the full range of identity scenarios – including support for the “long tail” of personal and non-commercial sites. One way to do this is through OpenID support. But in addition, we have extended CardSpace to work with sites that don't have a certificate. The user experience makes the difference clear – we are careful to clearly point out that the exchange of identity is not encrypted. In spite of this, CardSpace continues to provide significant protection against attack when compared with current browsers. You are shown the DNS name of the site you are visiting as part of the CardSpace ceremony, not on some random screen under the control (or manipulation) of a potentially evil party. And if you have been redirected to a “look-alike” site containing an unknown DNS name, you will get the “Introductory” ceremony rather than the more streamlined “Known site” ceremony. This unexpected behavior has been shown to make people much more careful about what is appearing on their screen. Ruchi from the CardSpace blog has a great discussion of all the potential issues here. As my little demo shows, if you have a website to which you want to add CardSpace support, all you need to do is add an “object tag” to your login page and parse a bit of xml when you get the Information Card posted back to your site. On the “client” side, if you are using IE, first you will need to install an updated browser specific extension that will work at a non-SSL site. If you have IE7 you probably already have it as part of the October security update. If not, download it from here. Second you will need to install an updated version of Cardspace that does the right thing when a website (we call it the “relying party”) does not have a certificate. The latest version of Cardspace can be downloaded as part of .Net Framework 3.5 from here. For people using Mac and Linux clients, I look forward to the upcoming Internet Identity Workshop as an opportunity to catch up with my friends from Bandit, OpenInfoCard, Higgins and others about open source support for the same functionality. I'll pass on any information I can at that time. Once you watch the demo, more information is available here and here and here. The code snippets shown are here. Download cheap oem discount software. My blog was hacked over the weekend. It was apparently a cross-site scripting attack carried out through a vulnerability in WordPress. WordPress has released a fix (Version 2.3.1) and I've now installed it. IdentityBlog.com, a Web site run by Microsoftâ€™s chief architect of identity and access, has been hacked and defaced. The site, which is used by Microsoftâ€™s Kim Cameron to promote discussion around privacy, access and security issues, now contains an â€œowned by meâ€ message and a link to a third-party site (see screenshot). I wonder if he would have put it this way had he known my blog is run by commercial hosters (TextDrive) using Unix BSD, MySQL, PHP and WordPress – all OSS products. There is no Microsoft software involved at the server end – just open source. This one was priceless . How can Microsoft's Security Guru site get hacked ? Oh my all the MS fanboys claim that Microsoft products are so secure . How can this be? It runs on UNIX! Why it's the very same BSD UNIX upon which OS X is based. The very one we've heard makes OS X so ultra secure and hack proof. How about explaining as to what a Microsoft employee would be doing using a UNIX server ? I don't think microsoft would be too happy hearing about their employee using… more than their inherently safe IIS server. Gosh, is the “Stalking Leopard” caught in a reverse-borg timewarp? What kind of F-in idiots write in this blog? Apple this or MS that or Linux there….. What difference doesn't it make what OS/platform you choose if it does the job you want it to? A computer is just a computer, a tool, you idiot brainless toads! A system is only as secure as you make it as stated here. You *ucking moron's need a life and to grow up and use these blogs for positive purposes rather than your childish jibbish! This is a shining example why you should host on Linux + Apache . For those who still don't get it, this shows the superiority of Linux and OSS against M$ products. Back comes a salvo of “It's on Unix”, by mharr; “lol” by toadlife; and “Shut up Fool!” by John E. Wahd. You do realize that you just made an idiot of yourself, right? Man you are just too much. I'm sure all of the people who use Linux are embarassed by you and people like you who spew such nonsense. I really hope you know just how idiotic you look with this post! What an ID10T. Maybe he moved the site after it got hacked ??? 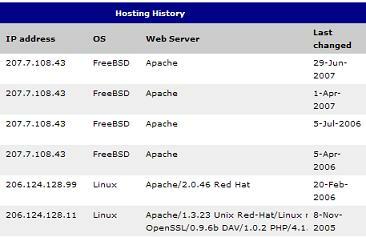 So it appears that dentityblog.com was being hosted by TextDrive, Inc using Apache on FreeBSD. The truth of the matter is very simple. I like WordPress, even if it has had some security problems, and I don't want to give it up. My site practices Data Rejection, so there is no “honeypot” to protect. My main interest is in having an application I like to use and being part of the blogosphere conversation. If I'm breached from time to time, it will raise a few eyebrows, as it has done this week, but hopefully even that can help propagate my main message: always design systems on the basis they will be breached – and still be safe. 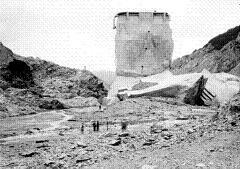 Although in the past I have often hosted operational systems myself, in this project I have wanted to understand all the ins and outs and constraints of using a hosted service. I'm pretty happy with TextDrive and think they're very professional. I accept that I'm a target. Given the current state of blogging software I expect I'll be breached again (this is the second time my site has been hacked through a WordPress vulnerability). But, I'm happy to work with WordPress and others to solve the problems, because there are no silver bullets when it comes to security, as I hope Linux Geek learns, especially in environments where there is a lot of innovation. Friends have pointed out that the awards panel at Silicon.com ranked me at No. 33 on their Agenda Setters Top 50 List for 2007. Looking at the people on the list, it's a great honor, and one which I think reflects the fact that more and more people are understanding the importance of identity. Kim Cameron is the only Microsoft name to appear on the 2007 Agenda Setters list and he's there because the panel felt that the identity management work he oversees is one of the few really innovative areas where Microsoft is active. As ID and access guru at the software giant, Cameron has driven the development of systems such as the Active Directory, which helps users identify fraudulent activity to combat spam and phishing. With online crime and fraud on the rise, Microsoft's Vista incorporates a lot of the technology that Cameron has been overseeing and which is being promoted as a major advantage of the new operating system. Security and ID management will continue to be a big issue and so the work Cameron has been doing will continue to be extremely influential over the next few years. For the record, I actually think this is quite a good time in terms of innovation at Microsoft. I see the company's support for my work, which would challenge any organization, as a remarkable sign. But this isn't the moment to cast aspersions on the panel's good sense! So instead, I'd like to thank them for their interest in identity. 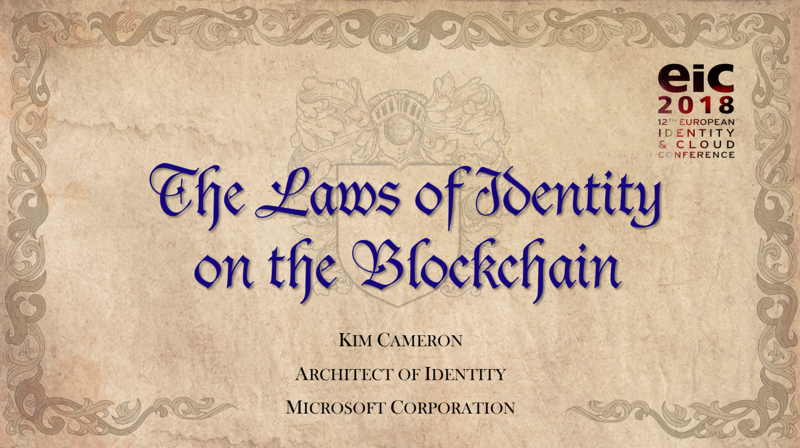 In my view the honor really belongs to all those who have been working on identity and security issues and technology, both inside Microsoft and across the industry. Caleb Baker, Ruchi Bhargava and a group of their colleagues on the CardSpace team have set up a new blog by techies for techies, called CardSpace: Behind the Code. It warms my heart to see the team members reaching out to make direct contact with other developers and engineers who are adopting the technology or creating versions on other platforms. So often developers in big companies are caught behind a wall of gauze. “CardSpace in .Net Framework 3.0 required that sites deploying CardSpace always have a SSL certificate. This meant that every site that wanted to use CardSpace was forced to deploy an https site. 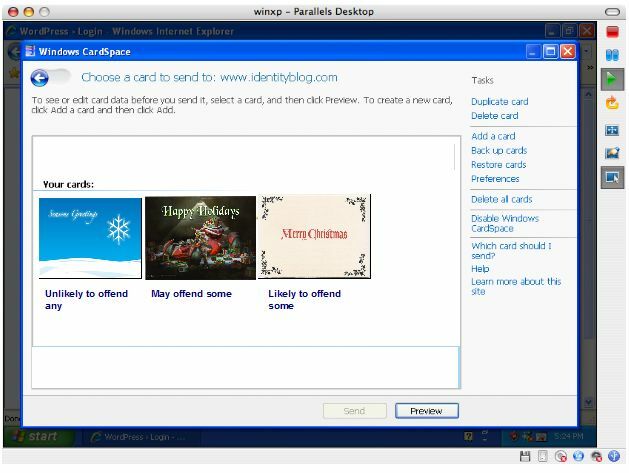 “Based on customer feedback, we have decided to relax this requirement for the next release of CardSpace (currently available in .NET Framework 3.5 Beta 2). We realize that there are some sites like blogs which would like to use CardSpace, but consider the SSL requirement to be a deployment blocker. “Now, if you have a website that you want to add CardSpace support to, all you need to do is add the object tag to the page and you are done. “In addition to requiring .Net Framework 3.5 beta 2 or later [on the windows client – Kim], a new version of icardie.dll is required to use this new feature. This will ship with Vista SP1 and an upcoming update to IE7. 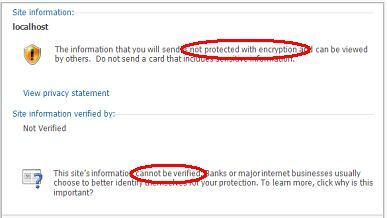 “In addition, managed card issuers can decide if the card they issued can be used on sites that do not support SSL. 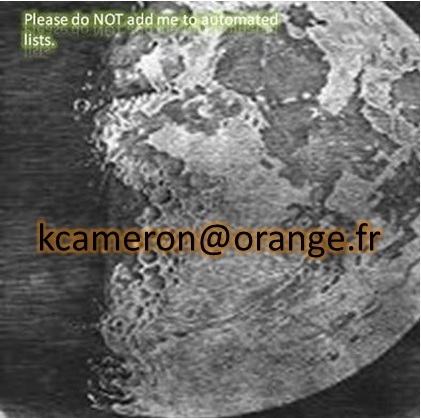 This can be done by adding the following element to the .crd file. 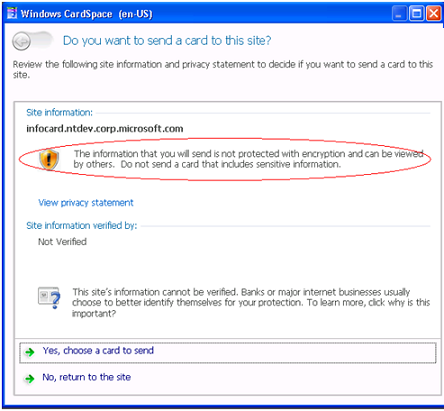 If this element is specified then the card can only be used on a site that has a SSL certificate. The card will not â€˜light upâ€™ when the user is on an http site. Meanwhile, the MSDN blog site they're on doesn't yet seem to show any signs of supporting Information Cards for leaving comments. Maybe I'm just missing it, or maybe Caleb can drum up some info on when that is going to be turned on. 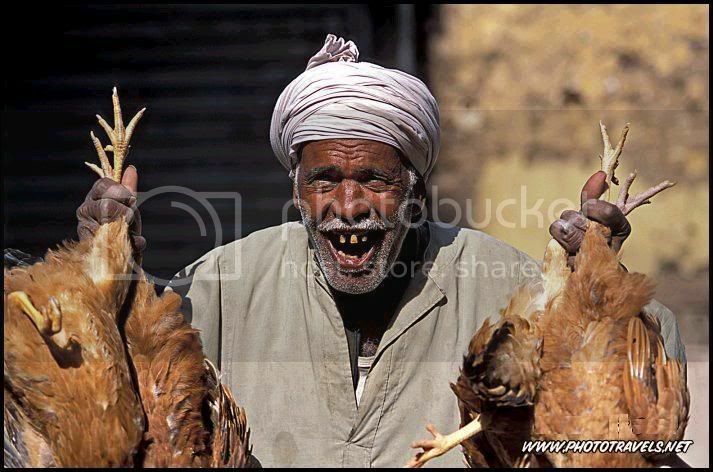 I was still reeling from the latest chicken pictures posted by James McGovern when I stumbled onto news of a contest put together by my colleague Richard Turner. James was complaining that the contest would slow down adoption in his case since it would break corporate policy to accept a prize. I added a comment to his blog saying I would try to figure out a way that someone who could not accept the prize could make a charitable donation instead. Identifying yourself online is becoming increasingly difficult and dangerous. Most people who use the web have to maintain several usernames and passwords and have to remember which usernames and passwords to use at the various sites they use. While usernames and passwords are a growing frustration to most users, this problem is dwarfed by the growing threat of phishing and other forms of malware and identity-related attack. Follow the wrong link and try to sign-in to a malicious site masquerading as, for example, your bank, and you run the very real risk of suffering considerable loss. These potential losses may be financial but may also impact your reputation (e.g. credit score) that may take years to repair. Microsoft, along with many partners in the IT Industry, is building a suite of technologies to help combat the phishing issue, whilst making it easier for users to authenticate safely online. Technologies such as Windows CardSpace enable users to identify themselves by presenting cryptographically strong identity tokens (represented visually as information cards) to supporting websites. To help fuel the growth of sites supporting Information Cards, Microsoft is announcing a competition that is open to every website owner, regardless of your web platform of choice. We hope you'll join us in helping to protect your user's identities from abuse and make it easier for your users to sign-in to your sites! All entries will be judged by the CardSpace product team and winners announced on August 17, 2007. The winner will be notified by email. If you have technical issues, please post questions to the Windows CardSpace discussion forum on MSDN â€“ we'll be monitoring this forum closely and responding as quickly as we can. Note â€“ if you contact us directly with support requests and your request is generic in nature, we'll ask you to post your question to the forum. This is the help others who may be experiencing the same issue as you and so that we can better manage potential support issues. Anyway, that sounds like a lot of fun, and I'll make sure the winner gets a really incredible evening at one of the top restaurants in the region. And as for James, now I know what the prize is, if he wins we can just make it a working dinner at the local pub, taking on the role of Information Cards in the enterprise environment and all the other things I'd like to discuss with him from a purely business point of view.